"Empowered ""I Believe In Me"" Sterling Silver Ring"
The "I Believe In Me" women's empowerment rings are a great reminder for any woman/girl to always believe in themselves to achieve whatever their heart desires. 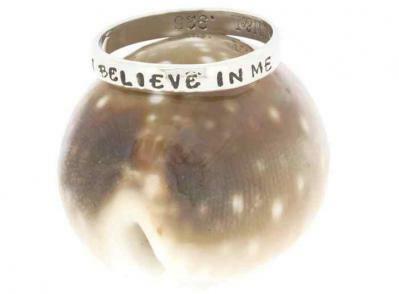 Our stamped I Believe In Me ring is a simple statement that the beginning of strength comes from believing in oneself. This listing is for the single ring.